I’m a fine art-style, destination wedding and fashion-inspired photography artist. I live in Charlotte, NC, and have a passion for all things camera. I enjoy working with people, capturing authentic wedding day moments, and creating art for my couples. I grew up in Philadelphia, graduated from UGA (“Go Dawgs”! ), and moved to Charlotte, where I’ve lived for the better part of a decade. When I’m not photographing, I spend my time writing, singing, traveling to far-out corners of the world, and occasionally nerding out on science documentaries. As a photographer, my main two areas of specialty are weddings and fashion, both of which work in perfect harmony to capture different aspects of your day. Over ten years, I’ve helped hundreds of people, learning exactly what is pleasing to the eye. I know exactly how to bring a smile to a clients’ face through not only the images I create, but through the entire experience of working with me. I love a good real-life love story — I genuinely find people and their lives fascinating, and this helps me to relate to them, ultimately getting them to relax during a shoot. You’d think that my biggest strengths as a photographer are fancy camera techniques — and while I do have a few, I prize my people skills more than anything else. I’ve also refined the language I use when talking to you during a shoot, which easily communicates what I’d like you to do, as far as posing. Usually, that’s just a few small, subtle changes that will have a major impact on the photo, such as a slight, gentle turn of the head, a relaxation of the fingertips. These are the nuances that make a polished, elegant editorial-quality image. …..Which is what we want, right? In getting my start years ago, I worked alongside many other photographers, but I rarely saw most of them do this. Ultimately, I could easily see that their inattentiveness-to-detail negatively affected the photos, failing to wow their clientele — so I vowed to do things differently. This: how I talk with people rather than at them; how I don’t miss the little details… these are the things that make me different. Knowing how to talk to people and relate is always a photographer’s greatest asset, and I’m proud that it’s mine. Now, I’m also technically-proficient, and I do geek out on gear occasionally. Over the years, I’ve developed close ties with many industry peers, and networked with many influential photographers countrywide. I’ve been published internationally, and even entered a few photography contests. Yes, it’s nice to see your images (and name beside them) in print, but shooting editorially has actually drastically impacted the way I take pictures. As corny (and a tad unbelieveable) as it sounds: after years of shooting for magazines, I even see light differently now. Magazine publications have influenced how I edit — fashion changes so quickly. I’ve learned a ton through the editorial process. I don’t take my accomplishments lightly, but I don’t take them too seriously either. Now personally, I don’t care a lot about contests, but I have won awards on Viewbug, an international photographers’ paradise of a website where work from various categories can get votes. It’s an honor and accomplishment to me because the main judges are extremely technical photographers. My photos have also scored in Shoot & Share, a national photo competition that draws over 300,000 submissions annually. It’s an incredible honor as not only do so many people compete (photographers can only enter 50 photos each! ), but also because it’s a grueling 3-month process, with many rounds of cuts (11, in fact!). Still, my work has fared well in the Shoot & Share Contest, scoring in the Top 10% consistently across categories. So let me tell you about my approach as a wedding photographer: it’s all about you. I don’t believe in the ‘cookie-cutter’ wedding photography. Instead, I believe that every bride is unique, and that each couple has a beautifully-unique love story that should be told and celebrated. I truly believe that. I love individuality, and bring a piece of my [big] personality to every wedding — please know that I’m not a wallflower, or the quiet photographer that blends in. My dad was a natural extrovert that could make anyone smile without trying. I took after him in many ways (though I didn’t inherit has amazing cooking skills). My approach to wedding photography is quite simple: I enjoy getting to know you two as human beings. Over many months, from the engagement session, to your wedding day, I take really nice photos that leave my couples with tears in their eyes (the good kind!). When I studied photography at UGA’s Grady College of Journalism ten years ago, I took classes in photojournalism, which gave me a strong foundation in how to operate a camera, but more importantly, journalism ethics and the beauty in authenticity of candid moments. Years later, in the fashion world, I would learn how to create what I wanted out of the resources accessible to me, but I am a journalist first and foremost. My work is Fashion-tinged and creative, yet simultaneously journalistic/documentary. I comfortably straddle the line, bringing in the best of both worlds. 1) Realism, 2) Versatility, and finally, most importantly: 3) Authenticity. I capture things exactly as I see them, stay true to my own style (rather than chase trends), and realize that you can’t and shouldn’t ‘stage’ every moment. I capture the real. You’ve been searching for an approachable photographer with a laidback, yet PROFESSIONAL style. You’re enthralled by the fashion/glamour-inspired bridal images you see in the magazines, and need a photographer who knows how to capture that. You’d love to find a photographer that already knows all of the most epic locations for your engagement shoot. You’ve a big family that really needs someone very experienced in working with large groups, keeping people laughing, but not overly directing. You’d really love having a personal connection with your photographer, before, during and after, the wedding. You’re super pumped to hire a really awesome hair & makeup artist for your wedding day, but wouldn’t know the first place to start (I know dozens!). You want DIFFERENT and OUT OF THE BOX, from the ‘basic’. You’re here because your good friend that referred you my way because they loved working with me so much. You might be interested in doing a bridal boudoir session with an accomplished boudoir photographer that knows how to pose women of all figures. You’re planning a fun out-of-state wedding at one of my ‘Top 25 destination wedding locations’ at which I’d love to shoot. You’d love to one day be featured on my blog, where I share stories of my wedding couples. You’d love an elegant, handcrafted leather wedding album that documents your big day, and is also custom-designed by the same person that took the photos. And lastly, we’re probably an awesome fit if you’re crazy-in-love with any of the passion-filled portraiture you see here on my website. If any of the above sounds good, let’s chat! 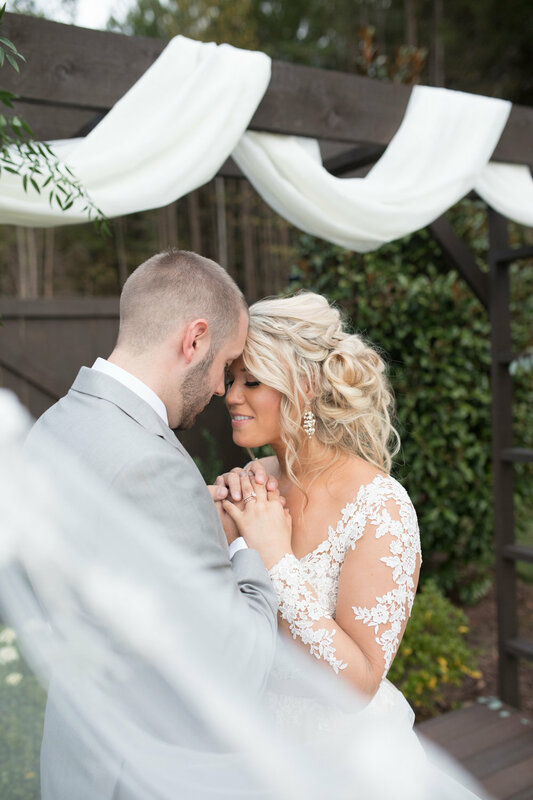 The reality is, you have a million options out there for Charlotte wedding photographers. But what’s most important is that you feel confident and trust the person you choose. Will your photographer take the time to invite you to coffee, ask questions, and really listen to what you say? …I will. I invite you to check out my blog, where I share a nice mix of wedding planning tips and personal stories. I’d love for this to be a two-way conversation, where I learn more about you too. Thanks for taking a quick minute! This could be certain images you really liked, a specific blog post, something particular about the way I edit, or even a joke I told. Just click here to book your Wedding Date.